In this case, the Central Asian Shepherd dog, a Russian breed. 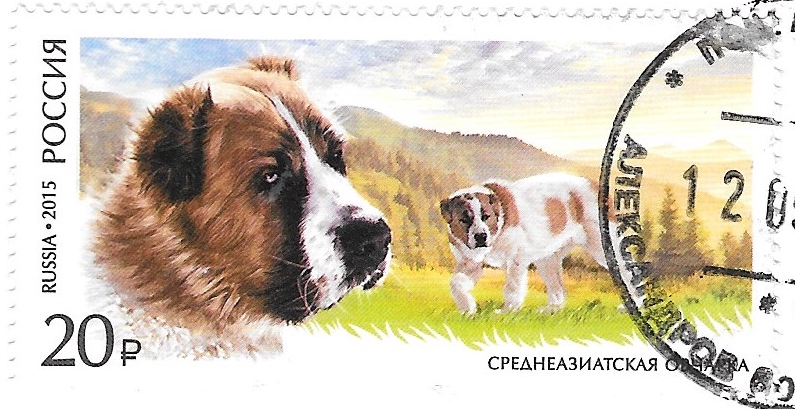 The stamp was part of a series on working dogs issued in 2015. To see the other links to stamps with a D theme, head over to Sunday Stamps. I had expected to see more dogs on Sunday Stamps this week! He's cute, with unexpected short ears! I like seeing dogs on stamps in their habitat. Its characteristic of 'imperturbable' makes it a winner with me.